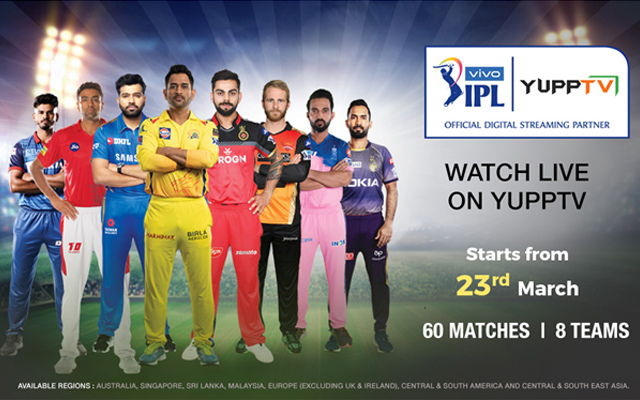 Rajiv Gandhi International stadium in Hyderabad experienced a thrilling encounter between Sunrisers Hyderabad and Rajasthan Royals where the former team managed to eke out a win. The Royals rode on the brilliance of captain Ajinkya Rahane(70 off 49 balls) and wicket-keeper batsman Sanju Samson(102 of 55 balls) to finish their innings on 198/2 after the end of 20 overs. In response, Sunrisers got the starting momentum after Jonny Bairstow(45 off 28 balls) and David Warner(69 off 37 balls) put up a 110 run stand to set it up nicely for the home team. Vijay Shankar’s middle overs flourish and Rashid Khan’s hard hitting at the death ensured that the home team triumph by 5 wickets. 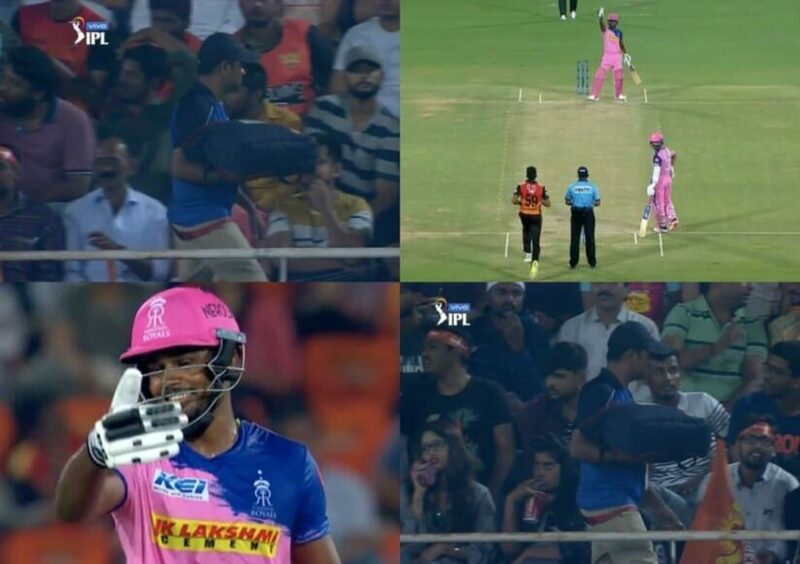 Earlier in the match, Rajasthan Royals innings was halted in the 12th over of the game when a dangerous looking Sanju Samson was batting on 44. 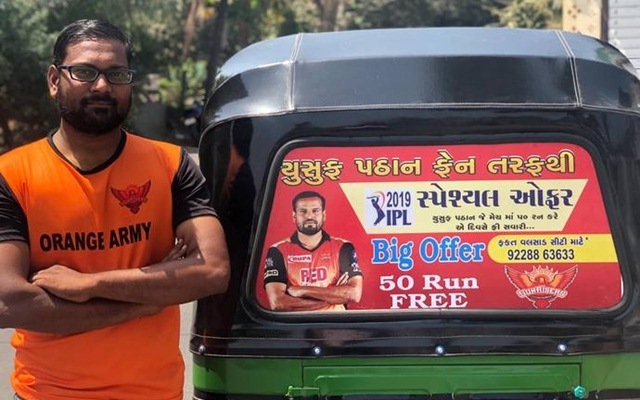 A pizza delivery boy was searching for the correct seat to deliver the order but the search stopped the match when he stepped infront of the sightscreen. The game restarted again, however the search of Pizza boy continued thereafter.